WASHINGTON (Sputnik) - US Special Representative for North Korea Stephen Biegun and his North Korean counterpart Kim Hyok Chol have agreed to conduct a new round of talks ahead of the presidential summit later this month, the Department of State said in a press release. "Special Representative Biegun and Special Representative Kim agreed to meet again in advance of President [Donald] Trump and Chairman Kim [Jong-un]’s second summit," the release said on Friday. Trump announced in his State of the Union address on Tuesday that he would meet again with North Korea’s leader in Vietnam on February 27-28. The first ever US-North Korean summit was held in Singapore in June. 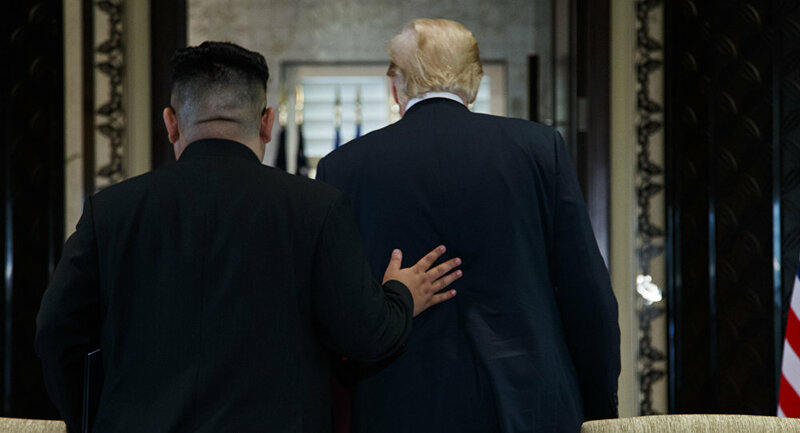 Following the meeting, North Korean leader Kim Jong-un confirmed his intention to denuclearize, and US President Donald Trump pledged to provide security guarantees to Pyongyang. Since then, Pyongyang has been waiting for Washington to fulfil the agreements reached, and the US administration is unhappy about the lack of new steps by the DPRK on nuclear disarmament.